Big fruits, big clusters and big flavor—it &apos;s no wonder this new introduction from Cornell University is named after the biggest mountain in the world. Everest bears large clusters of large, seedless juicy berries with a flavor similar to the famed Concord grape. 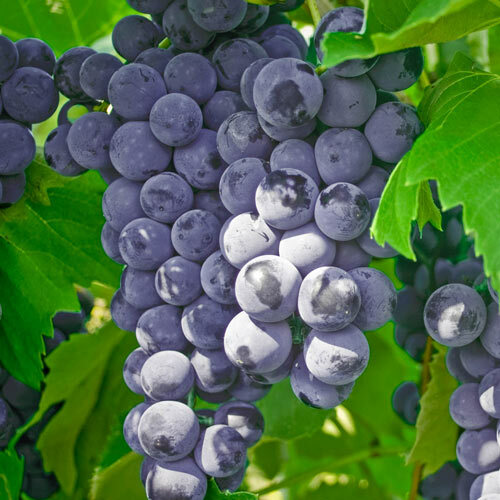 Unlike the Concord grape though, Everest &apos;s fruits are seedless and much larger—sometimes twice the size of Concords. Everest Grape &apos;s large and productive vines produce up to 33 lbs. of fruit and exhibit moderate resistance to downy and powdery mildew. Fruits ripen in mid- to late-September. A good choice for home gardeners and pick-your-own operations. Zones 5-10. SpacingSpace vines 8 - 10 feet apart. FruitLarge clusters of large, purple fruit, with a flavor similar to the famed Concord. PruningPrune in winter when dormant but before the weather becomes too cold. See our Planting Guide for specific pruning instructions. CommentsLarge clusters of large purple fruits have big flavor - similar to the famed Concord. 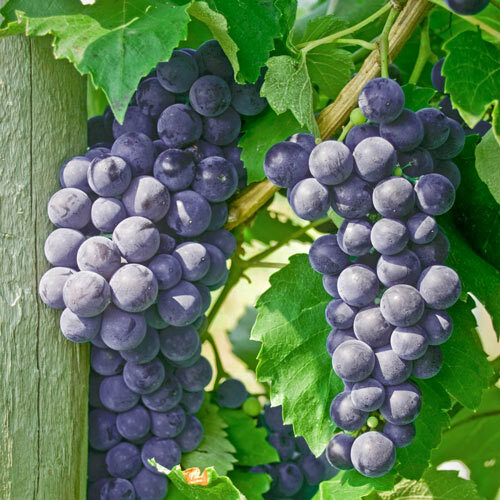 Large and productive vines produce up to 33 pounds of seedless, juicy fruit at maturity. Fruits ripen mid- to late-September. YieldProduces up to 33 pounds at maturity. 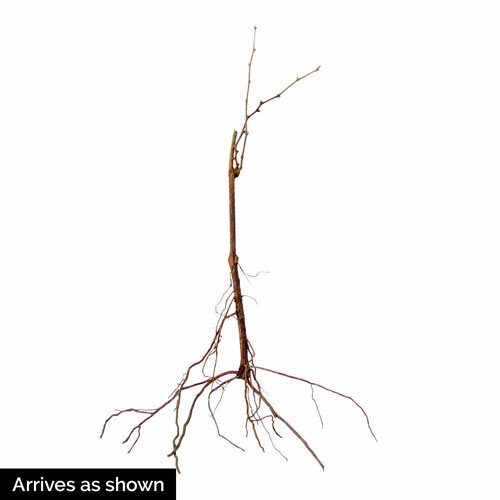 DepthDig a hole large enough to spread the roots without bending them. Plant at the same depth as in the nursery. The previous soil line should be evident.